A Turkish-majority sports club in German city of Cologne wrestles through discrimination as it won a national championship as teenager athletes still finds the sports best way forward social acceptance. “This is integration! 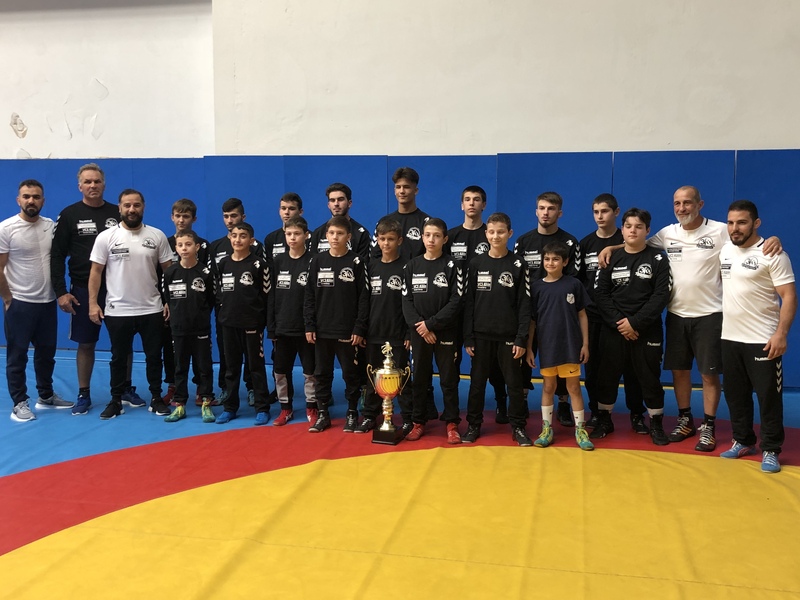 There nothing better integration than these kids,” said Rasit Deniz whose 10 years old son won all of his matches which carried his team AC Mulheim to national championship. “These kids will proudly be serving the German national team in 10 years. All of them are Muslims. All of them are from Turkey, Chechenia, Syria. They will earn medals for Germany in international competitions. And some people still claim integration issue,” said the proud father. AC Mulheim was founded in 1892. It is one of the oldest sports clubs in Cologne. It won its last national championship in 1976. After Germany started accepting workers from other countries, the club found new base for fresh recruits whom were willing fight hard to break the social barriers in a country with stained racist past. “Oriental kids have the genes for wrestling. It’s in our blood. It’s our ancestors’ sport,” bragged Deniz whom was once a professional wrestler in Turkey but had to drop out due to consistent injuries. AC Mulheim has its training facility adjacent to Keup strasse dubbed Small Istanbul. Its location turns the club into a immigrant hub as Mulheim is home to many members of immigrant communities mainly from Turkey and other Muslim countries. The club won a national championship in a tournament held on 8/9 June in German city of Schweiler in toddler segment and third place in youths. Immigrant communities mainly Turks have been facing discrimination in many aspects of life from education to justice despite having been living in Germany for generations now. Hence, sports are still considered the best way out from racism and Islamophobia by many youngsters of immigrant communities. However, a recent debate in Germany cast doubts on the role of sports towards acceptance of the others by the German society. After Turkish-German football stars Mesut Ozil and Ilkay Gundogan met Turkish president Recep Tayyip Erdogan in London during his official visit to the UK, the two have been heavily attacked by German media for throwing a support to Erdogan. Both players have also been bashed by many politicians including German chancellor Angela Merkel as well as the football federation in Germany. German national football team could not give up the duo for the squad of upcoming world cup despite huge public pressure. The incident just proved how intolerant German society have been towards its minority groups. Turkish-German lawyer Serkan Alkan faces discrimination at courts just for being non-white as he puts it. Representing one of the victims of NSU terror attack, Alkan says the conclusion he has come to after being born and raised in Germany is that this country only wants to deny our roots. “They dont want us to integrate. They want us to deny our roots. But even in that case, we wont be accepted. We would just be rootless. Neither a German or a Turk,” said Alkan. Despite providing a little hope, wrestling mat is still the best way towards social acceptance for the teenager athletes of AC Mulheim and hundreds of other sports club founded by immigrant communities through out Germany. Success in sports will at least bring them wealth, which in turn might earn respect, least they can achieve.